Excellent results from the Moberly Stars at the London Area Schools qualifier yesterday and the London Universities and College open. 14 fought on Saturday winning 9 Golds, 3 silvers and a bronze. In year 4/5, Deborah O’Neal was amazing winning her first gold medal in the u40k. In year 6/7 Kristians won an excellent silver in the u46k. In year 8/9 Golds were won by Myeisha (u40k), Maddie (u63k), Sheziya (+57) and Dmori (+66). Silver’s for Liam (u42k) and Corey (u60k) and bronze for Sacha (u50k). In year 10-13, Alex (u50k), Oliver ‘General’ Lee (u55k), Daniel (u60k) and Anna (u57k) all achieved the most amazing set of results and all won gold in their respective categories with truly determined performances. 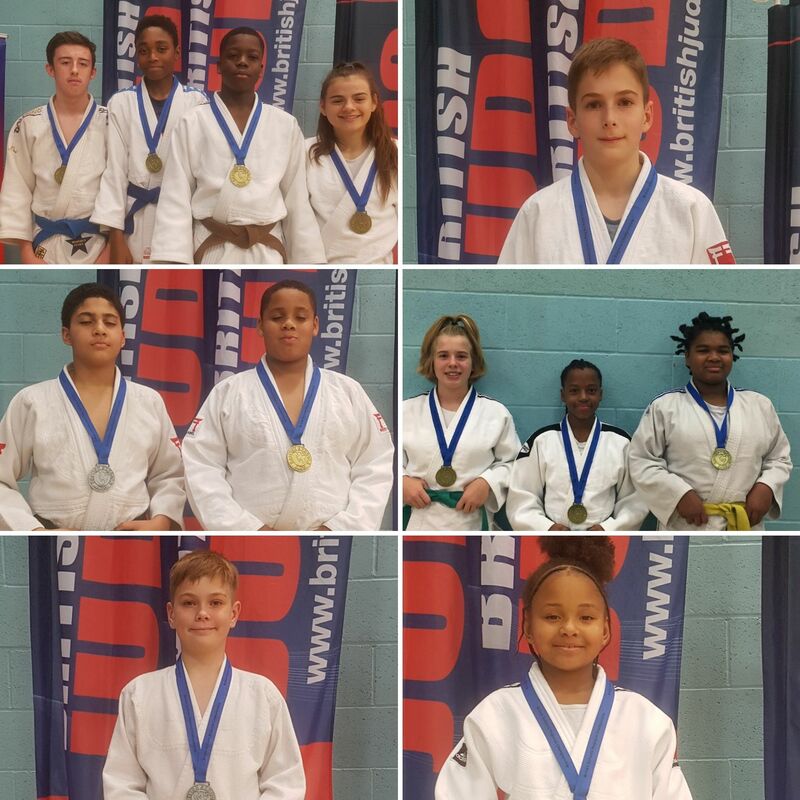 All gold and silver medalists have qualified for the British Schools event in Sheffield next April. On Sunday both Reuel and Tyrese came through 10 contests each as they won Silver and bronze in both the Junior and Senior u73k events. No Comments to "Moberly Stars at the London Area Schools qualifier"